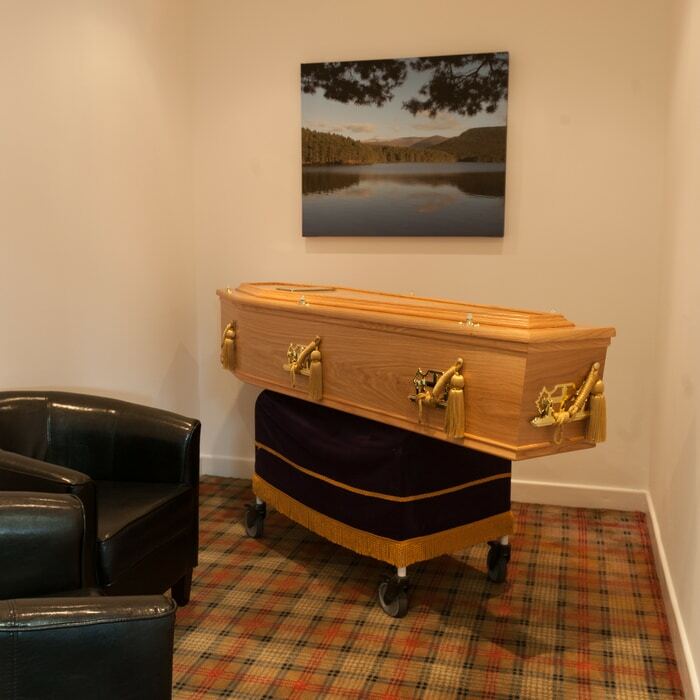 In our purpose built premises at the Achnagonalin Industrial Estate we have a fully equipped mortuary, preparation facilities and a viewing room. From the moment your loved one is taken in to our care you can be assured we will treat them with upmost dignity and respect. We understand that it can be a difficult experience visiting your friend or relative but are proud of the well-appointed facilities that we offer. We have a comfortable viewing room, ensuring that you are able to pay your last respects in a peaceful and private way. We hope that when you leave us you know that your loved one is at peace and in the best possible care.